There are few places that have been deliberately hidden on Google Map. These places are considered classified to be seen. These places are concealed before our eyes because governments and secretive corporations do not want us to see. Seven places that are not on Google map. According to the documents released by WIKILEAKS, the United States allegedly stores 22 cold war-eras Nukes here. On Google Map, we find pixelated images of the country’s command and control support location. 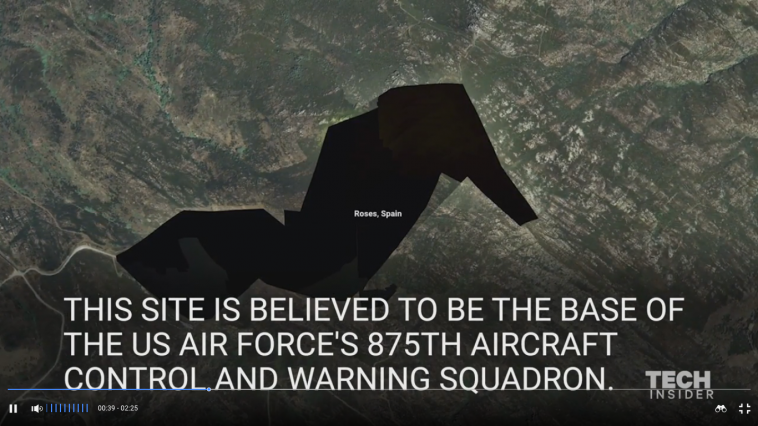 This site is believed to be the base of the US Air Force’s 875th Aircraft control and warning squadron. This is the headquarters of China’s National Security Bureau, the country’s main intelligence gathering organization. While you can see aerial images of Israel but when you try to zoom in to a closer view, all of the buildings are of low resolution. This seems to be true for most parts of the country. It is the main operating base of the NATO Boeing E-3 Sentry Module which is one of the two operational elements of the NATO Airborne Early Warning and Control Force. While the Air base isn’t blocked on Bing.com, Google Map shows a completely pixelated area. There is not much information on this area. Looking up this at area in Google street view, a vast area of empty fields is most likely discovered. It is a county located in the US State of Texas and it is northeast from the Mexican Border. About 15 miles of the US/Mexican border appears to have been distorted near Ciudad Juarez, Mexico.